Life as a refugee means a lot of things, but imagine becoming a refugee who brings hope and healing to their own communities, a person with a purpose, someone who can work and thrive. Someone who doesn’t have to let their circumstances determine who they are or what they do. In northern Uganda, Global Refuge has two established health centers that serve approximately 8,000 people each month. 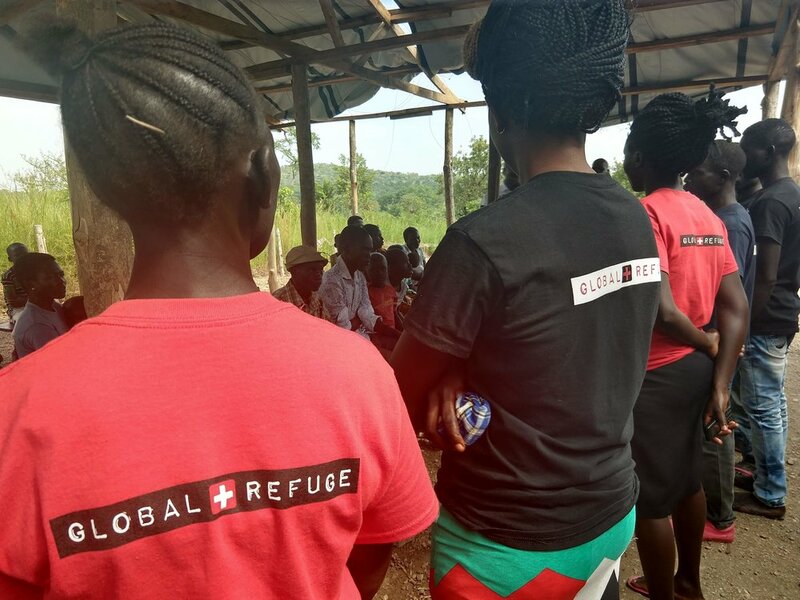 At each health center, 20 refugees from the local communities have been selected to become Field Medical Representatives for Global Refuge. For our purposes, we call them medics. Once the medics have been selected, they begin their training. Training is conducted by Global Refuge staff as well as other medical professionals who may travel to the health centers. At these trainings, they cover in-depth what their roles as medics will be. Their roles and responsibilities include canvasing their designated areas to identify people in need of services, making referrals to the Global Refuge health centers (or, if needed, the town hospital), and holding health education sessions within their communities. Once they have established a certain level of responsibility, they are also able to administer rapid test kits for malaria and distribute coartem, the drug used to treat malaria. This enables a considerably large expansion of outreach capacity to the communities surrounding the Global Refuge health centers. The refugee camp is designated by the number of their water tank. When you ask where a refugee lives, they will tell you the number of their water tank. There is essentially one medic for each water tank, and that water tank will serve approximately 1,000 people. So each medic serves approximately that number within their community. The medics have an established rotation where 3 weeks of the month, they do outreach in their communities, triage, follow-up and health education. Most medics do this outreach 5 days every week and it takes up their entire day. Then one week each month, they are at the Odubu or Imvepi Health centers expanding the capacities and services, as well as assisting Global Refuge staff. In addition to this, they are also at the clinic some Saturdays receiving ongoing training and getting their supplies refilled. Investment into these medics means so many things. With a $450 USD sponsorship, you cover the cost of training, supplies, and a 6-month salary. You can train and equip a refugee and give a lifetime of valuable, life-saving knowledge. From being someone who fled their own country trying to survive, they are now able to turn their lives into lives of meaning and service. They can provide for their own families. They can bring hope and healing to 1,000 people in their communities. Investing in a medic is one of the biggest ways you can make an impact. Their knowledge cannot be taken from them. The difference they make will not only make a significant impact in their communities, but it will make a significant impact in their own lives.